Modulin is a cool synth app built with AudioKit. Developer Grant Emerson made this awesome app before he was old enough to drive. Modulin was built out of my combined love for music and programming. I had about two years of experience doing iOS app development. Plus, four years experience playing electric and upright bass. It was the most captivating and acoustically realistic sound I had ever heard a synthesizer produce. Luckily, I found a video where Wintergatan explained how the Modulin worked. Something about the way he explained it made everything suddenly click and make sense for the first time. After watching those videos, I knew I had to make a Modulin for myself. The only problem was my lack of funds and the fact that each module on the Modulin cost at least $100. This was where the idea to create a Modulin iOS app started. I had no idea where to start, as this was by far the most complex project I had ever undertaken. The first task was to create an app that just made a sound. It didn’t matter what it sounded like, I just wanted to hear something. While researching the best way to synthesize sounds on iOS, I came across AudioKit. 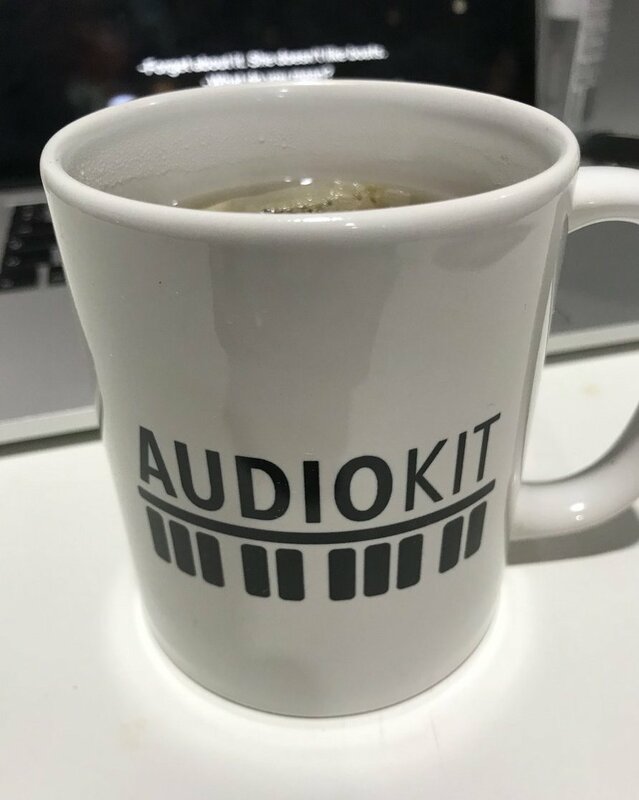 AudioKit was a familiar name, as it was the framework I had used in the past to create a multi-track recording app called MultiMic. 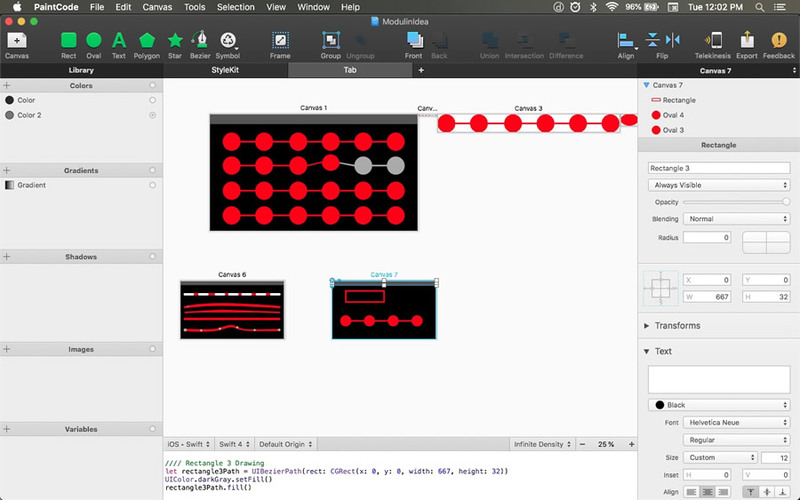 The number one thing AudioKit offered while I was prototyping out Modulin was the catalog of playgrounds with documentation that explained in detail how DSP worked in code. While learning how to create synthesizers with AudioKit, I also started drawing out the flow of CV throughout a Modulin. I spent hours flipping frame by frame through Wintergatan’s videos making sure I drew all the wires and modules exactly how they appeared in the video. After all the technical planning was complete, the final step was to draw out some designs. I believe design is one of the most unique aspects of Modulin. Unlike most apps, Modulin ditches the on-screen keyboard for a much different approach. A custom UI of dotted, stretchy strings make the Modulin interface inviting to users of all levels of expertise. After planning was complete, I started the daunting task of programming it all out. Although there were bugs and new concepts to learn along the way, I never had the desire to quit. There’s something about building an app that you actually want for yourself that motivates you to push past all the setbacks and obstacles. Learn more and get the full future list at the Modulin webpage.